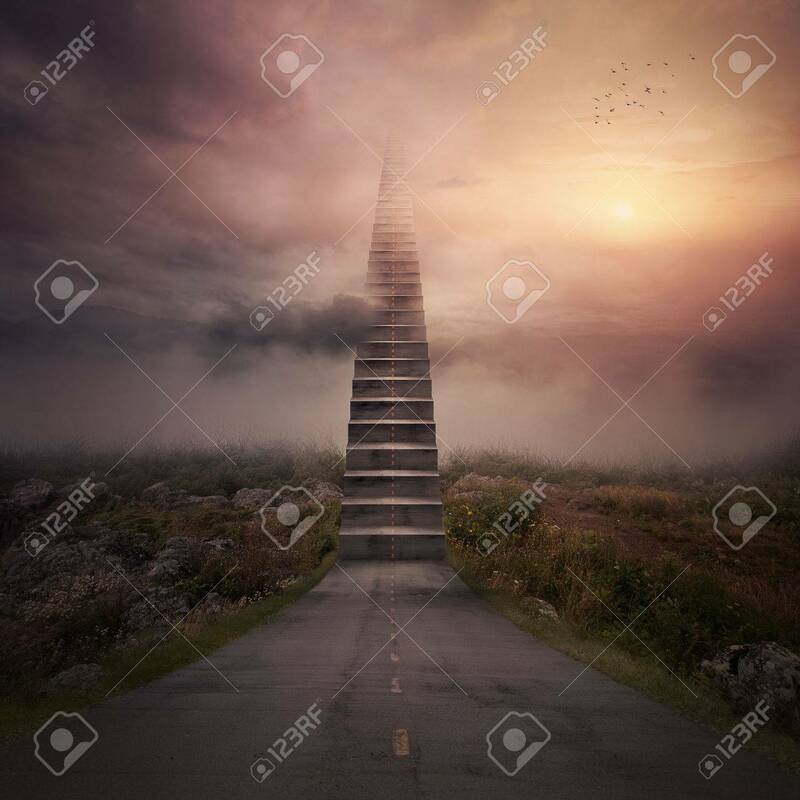 A Road Turns Into A Staircase Up To The Clouds. 免版權照片，圖片，畫像及圖片庫. Image 36351492. 版權商用圖片 - A road turns into a staircase up to the clouds.